100% of the fruit comes from Columbia Valley in Washington State. to pursue our dream of crafting world-class wine in Washington State. 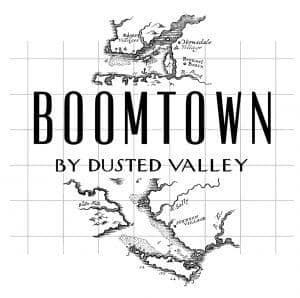 DESCRIPTION: Boomtown by Dusted Valley offers varietal specific wines with one goal - to over deliver. We affectionately refer to Boomtown as Dusted Valley’s little brother. TASTING NOTES: The wine of kings and the king of wine. Refined, yet rugged; the wine offers wonderful cherry fruit and balancing acid while giving you the rustic complexity of freshly crushed herbs.